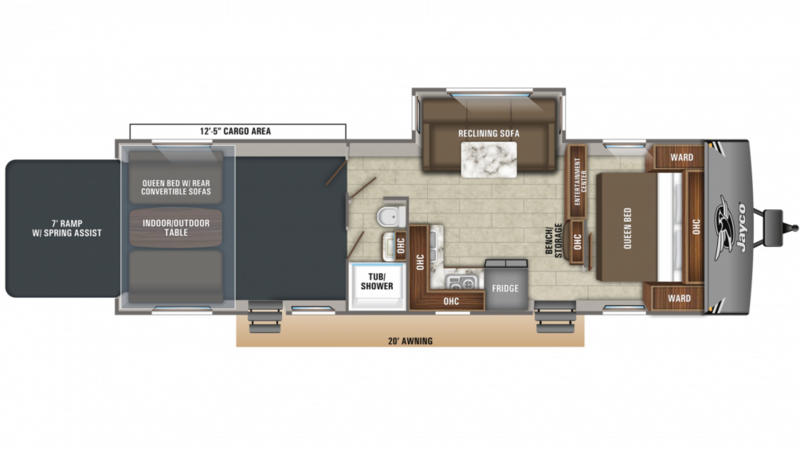 Go on the trips your family has always dreamed about with the 2020 Jayco Octane Super Lite 293! This Travel Trailer Toy Hauler is reliable and great for long distances! Find this quality model at All Seasons RV, one of the best Michigan RV dealerships! We're conveniently located at 4701 Airline Rd Muskegon Michigan 49444, so stop by if you're driving near Muskegon! Call us at 231-739-5269 for more information on this wonderful RV or any of our other great models! This rig has a GVWR of 11700 lbs. and a hitch weight of 1343 lbs. You'll enjoy some much welcomed shade outside with the 20' 0" awning! You'll be able to sleep nice and comfortable no matter how far away from home you are! The master bedroom is private and cozy, and features a snug and spacious Queen bed! You can sleep up to 6 people inside this RV with all its sleeping accommodations! A full day of outdoor fun can work up a big appetite! When the family gathers at the dinner table, they'll be ecstatic at the meals you've prepared for them! The fabulous kitchen comes with all the appliances you need, including a 2 burner range cooktop and a 8.00 cu. ft. refrigerator that can stock all your favorite foods and cold drinks! Cleaning dishes is easy thanks to the 112 gallon freshwater tank. 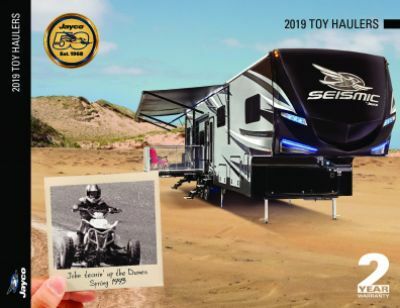 Can't imagine going on the road without your favorite outdoor toys? You don't have to thanks to the spacious 12' 5" garage. Dirt bikes, ATV, motorcycle? No matter. The sturdy 3265 lbs. of cargo capacity means there's room for any of them as well as your other outdoor gear!